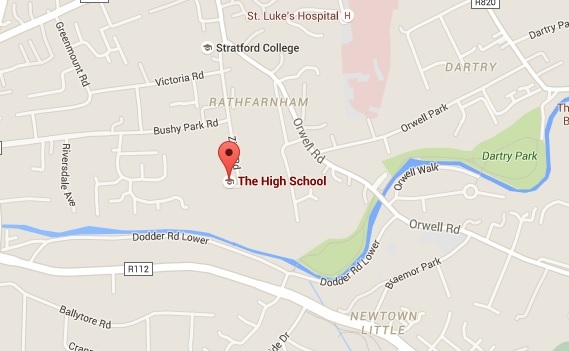 The High School Dublin : HSD Past Pupils- Continued Sporting Success! David Aspil, who you will remember as Captain of the HSD Senior Cup Team last year, is going from strength to strength in the world of sport. While he still is involved with our school, coaching High School Rugby teams, he is currently attending National Group Training Camp with Leinster in advance of Ireland trials in December. Last month he played his first Senior Provincial game for Leinster A against Munster, a fine achievement in itself. That same month he played his first Senior Club game in the All Ireland League Division 1B for St Marys RFC Senior Vs Blackrock RFC. We wish David every success as he takes is place amongst the best and brightest sportsmen in the province. 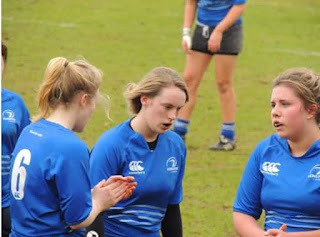 Abigail Donnelly playing for Leinster. love of sport. Emma Murphy and Abigail Donnelly, both left HSD in 2014 and play for Railway Union RFC. Emma is currently playing for the Irish Women's Sevens team, here in Ireland, while Abigail, who played for Leinster U18 when she was in The High School, is playing and coaching rugby at Purdue University, Indiana, where she is studying Building Construction Management until the end of the year. But rugby isn't the only sport continued after The High School. concentrating on coaching. He was awarded an academic scholarship and offered a job coaching the women’s 2nd team in UCD, which allowed him to be assistant to the first team, which had 3 full Irish internationals, and a host of junior internationals. He then got the opportunity to do a semester abroad, in the United States. He went to the University of Tennessee, which is a massive sports college. That summer, he moved to Seattle to do an internship with Seattle Reign FC, the professional women’s team, as the coaching intern. Three of their players actually won the world cup this year, Hope Solo, Megan Rapinoe, and Sydney Leroux, with another playing for Japan in the final, Nahomi Kawasumi. 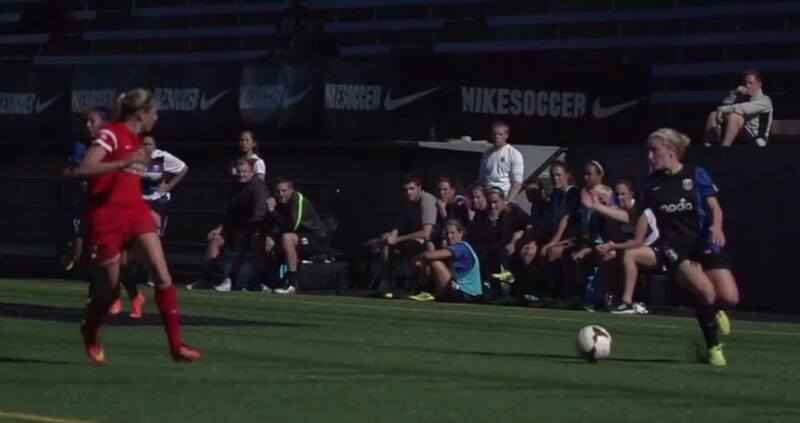 While there, they won the NWSL league title for the first time in the clubs history. When he came home, he returned to the UCD Women’s team, and they went on to win their first intervarsity championship in 17 years. Rob is now taking master's degree in sports coaching in Loughborough University, and was also given an academic scholarship. 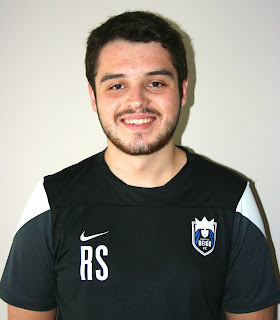 He is currently the head coach of one of the university men’s teams, and they’re competing at the top level of British university sports, and is in the application process of his UEFA B license.